The November 2 MARP meeting will be held in Chicago Union Station where we will be treated to tours of behind-the-scenes locations within the station, including the fascinating Control Center which guides the movement of all trains within the adjoining yard. 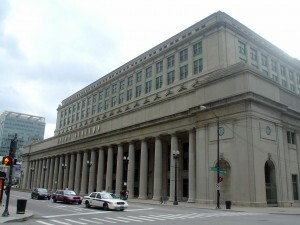 You will also have a chance to observe situations that have been addressed by the Chicago Union Station Passenger Action Taskforce (CUSPAT) headed by Larry Krieg. The meeting will begin at 11:30 following the arrivals of Wolverine #351 c. 10:47 a.m. and Pere Marquette #371 c. 10:38 a.m. Taking the Blue Water is not recommended since it does not arrive in Chicago until almost noon. If you do not qualify for the usual 10% or 15% discounts (MARP, Senior, Military, AAA), you may request a Convention Fare Discount Code (10% discount) by SENDING AN EMAIL TO marprail@yahoo.com . We’ll email the information you need to obtain this fare. For overnight lodging, one of our members has found a reasonable rate at the Embassy Suites Chicago, 1445 Lake Cook Rd, Deerfield, IL 60015. The hotel offers complimentary drinks Friday and Saturday evenings, a full breakfast in the morning, and a shuttle to the nearby Lake Cook Road Metra station. See below for instructions for finding and booking a room. If you have questions or need more information, EMAIL US AT marprail@yahoo.com . You will get several options and pricing – note that the cheapest gives you no refund if you cancel; it might be worth it if you are 100% sure you are going; the next cheapest are the senior / AARP rates. Click to make your choice. Be sure you have your credit card handy.